For indoors applications, TOP-1200 analogue amplifier is the best option to drive M-528B to get a punch and lower extention sound. 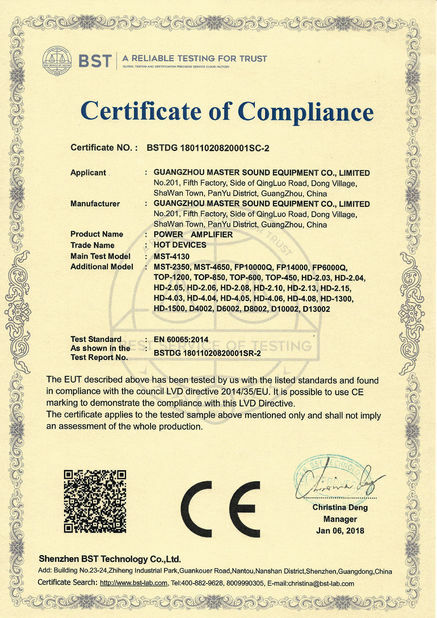 For outdoors applications, M-528B can be driven by light weight switching amplifiers FP 14000(MST-2350) or FP 10000Q(MST-4130). 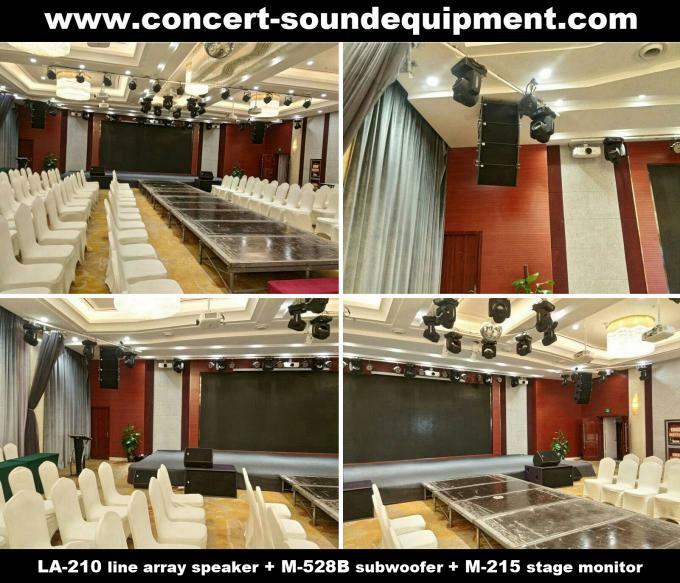 Together with LA-210 + LA-118B line array speakers, DC36(or DC48) processor, it will be a complete and very good line array speaker system. 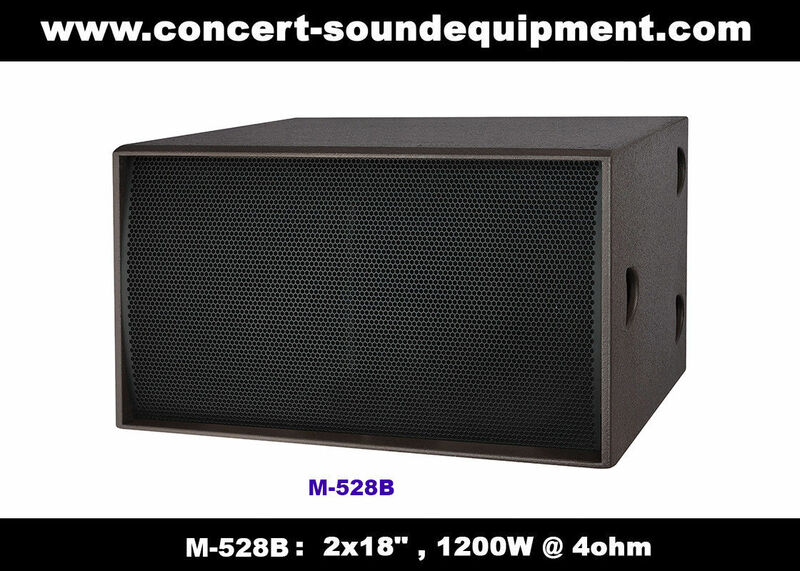 M-528B can be used together with our M-215 stage monitor, AH-15 full range speaker, and M-315 full range speaker as well, in indoors installations or outdoors applications. 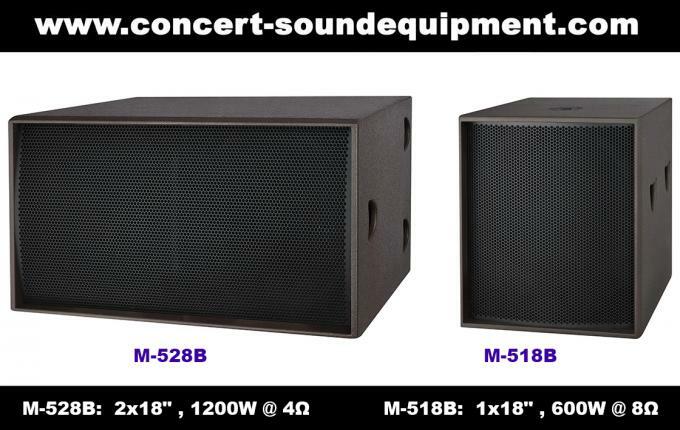 If you want one horn-loaded dual 18" subwoofer, then, we would like to recommend you our LA-218SB. 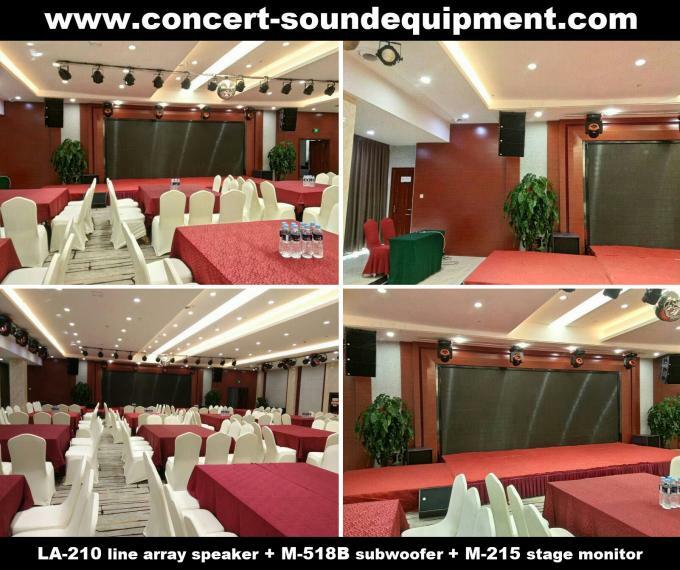 It features higher sensitivity, higher SPL, and more focused sound energy. For outdoors appliations, horn-loaded LA-218SB will be a better option than direct reflex design M-528B. White/Black/Gray/Purple/Brown finish available for options to meet the requirements for different venues. 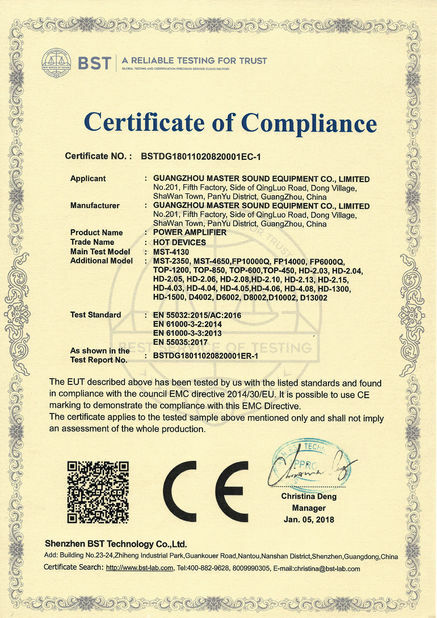 For easy transport,according to customer's requirement,loudspeaker rear board can be fixed with 4 castors with brake. nightclub, disco, church, concert and living event.